We are here to help you with Life Insurance Approval with Cystitis! Having trouble finding affordable life insurance with Cystitis? Can Individuals with Cystitis Qualify for Life Insurance? Yes, most individuals with Cystitiswill be able to qualify for traditional life insurance, the type of insurance which requires a medical exam. Best Case Scenario – If Cystitis is acute in nature and the symptoms of painful urination and lower abdominal pain is controlled and complications to the kidneys prevented, most cases can have a “Standard” rating. Click here for quote at “Standard”. Moderate Case – Those cases that are recurrent in nature, but have no known history of complications to the kidneys, and whose symptoms of frequent and painful urination are mostly controlled may still qualify for a “Mild Substandard” health class. Click here for a quote at “Mild Substandard”. How many years have you been diagnosed with Cystitis? Cystitis is a common condition that can be resolved easily with proper treatment and management. The symptoms of painful urination or frequency can be controlled easily and complications to the kidneys prevented. Chronic Cystitis, however, may require a more thorough evaluation to determine absence of complications. Symptoms of cloudy or blood-tinged urine or fever may be flare signs of an ongoing serious complication to your kidneys. 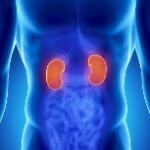 These symptoms may be symptoms of kidney failure and may get you a higher rating and in worst cases a decline. You may have difficulty qualifying for traditional coverage, but could be eligible for a graded death benefit policy. The need for medications that are given more frequently and longer than the usual 7 to 10 days may be a sign that your Cystitis is recurrent and a moderate infection. This could get you a higher rating and in some cases you may be required to undergo more diagnostic tests before a rating can be determined. Do you have regular check-ups with your urologist and nephrologist? Regular visit to your urologist and nephrologist is a good sign of control of the condition and may get you a “Standard” rating. It is, however, necessary for laboratory and diagnostic exams to confirm the absence of complications such as pyelonephritis or kidney failure. Recent laboratory and diagnostic tests such as urinalysis or ultrasound are the best ways to assess your actual condition. This may also confirm your compliance with your physician’s management. Other medical conditions such as diabetes or pelvic inflammatory disease may trigger more episodes of infection, which may affect your health class rating. Cystitis is an infection of a part of the urinary tract system. Generally, these infections fall into two categories depending on their anatomical location. Upper tract infection involves the kidneys and the ureters, while lower tract infection affects the bladder and the urethral meatus. Cystitis is also referred to commonly as bladder infection, which can be acute or chronic in nature. Infections of the urinary tract are more common in women than men because of the difference in the urinary tract structure; women have shorter urethras than men. Cystitis can be caused by various bacteria and viruses that can be acquired through sexual practices, medical and surgical procedures. Pregnancy and the use of contraceptive devices such as IUD and condoms have also been associated with increased incidence of Cystitis. There are also medical conditions such as diabetes, prostatitis and abnormal reflux of urine that predisposes a higher risk for infection. Symptoms of Cystitis include painful and frequent urination, increased urge to urinate, suprapubic pain, cloudy and odorous urine, and in some rare cases presents with blood-tinge urine and fever. Cystitis that is left untreated can progress and become an infection of the upper urinary tract called pyelonephritis (infection of the kidneys). 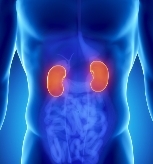 See our other articles on Kidney Disease and Click Here!